I got the same feeling when I was the pics of her. Only time will tell. But when you are looking at this picture you see that she looks not pregnant. I also think she looks pregnant. I don't think that they will formally announce a pregnancy. So we should try not to speculate until they either do, or till it is really obvious. But I would say that Elisabetta looks really good, as does Amedeo. Being married seems to do them good. Het Nieuwsblad was told by a palace source that Prince Amedeo did not realize he needed official permission and King Philippe elected not to remind him because "he respected the autonomy of his nephew". If the source is credible I do not know, but it is known that Prince Amedeo never asked permission in the first one and a half years of his engagement and marriage and finally asked two months after his "renunciation" became national news. Elisabetta is pregnant? where can I read news about it? There is no news about it, since there has not been any announcement nor the speculations about the pregnancy have been confirmed. So far everything has been said and written about a pregnancy is just a speculation and - as a fellow Moderator reminded just a couple of posts ago - it's better to avoid speculations until a pregnancy is announced or it is clearly visible. All siblings except Laetitia-Maria are of age already. Princess Elisabetta has been doing an internship at the communication department of the European parlament these last five months. I find it hard to believe that Prince Amedeo"didn't know" he needed the King's permission to marry in order to stay in the line of succession. Even if he didn't know, Princess Astrid certainly knew it and would have reminded him in case her brother chose not to do it. 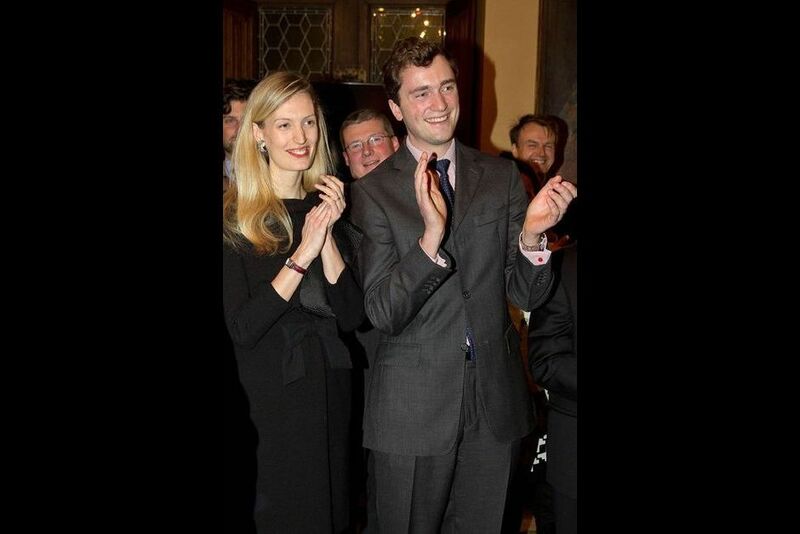 In any case, it is settled now that Amedeo's children will not be princes of Belgium. They will remain in the line of succession though as the Belgian constitution does not limit the line of succession based on proximity of blood and all legitimate male or female descendants of King Albert II are in principle eligible to ascend the throne. I don't know if Prince Amedeo late asking to stay in order of the succession has something to do with the baby to come ? I agree that the story is hard to believe, but I cannot think of a better explanation for the belated request. The king had ample time to issue a decree before the general election and the wedding, consent was and is unrelated to titles, and if my memory serves me correctly, the engaged couple already planned to have children. King Philippe or Prince Amedeo could have changed their minds after the wedding, but I am not sure why they would. the Baby will be Archduke or Archduchess of Austria-Este. I can't believe Amedeo didn't know or that his mother or grandparents didn't mention it. I've always thought that the Belgian Royal Family don't seem particularly close, I think they get on fine when they meet but that they don't get together all that often. If they were going round to each others houses all the time you'd think one of them would have mentioned it to Amedeo. There is a question of whether Prince Amedeo is violating the law by living in a building that belongs to the Royal Donation without permission from the government. Since he and his wife relocated to Belgium in 2014, they have resided in an outbuilding, former employee housing, of Princess Astrid's residence Villa Schonenberg. Under the law of November 27, 2013 (Article 8), permission from the Minister of Finance must be obtained in order to put any building in the Royal Donation at the disposal of the Royal Family. On January 11, 2016, the minister denied granting any permissions since the law came into effect. The question is whether the outbuilding is part of Princess Astrid's residence or a different building which needs the permission of the Minister. 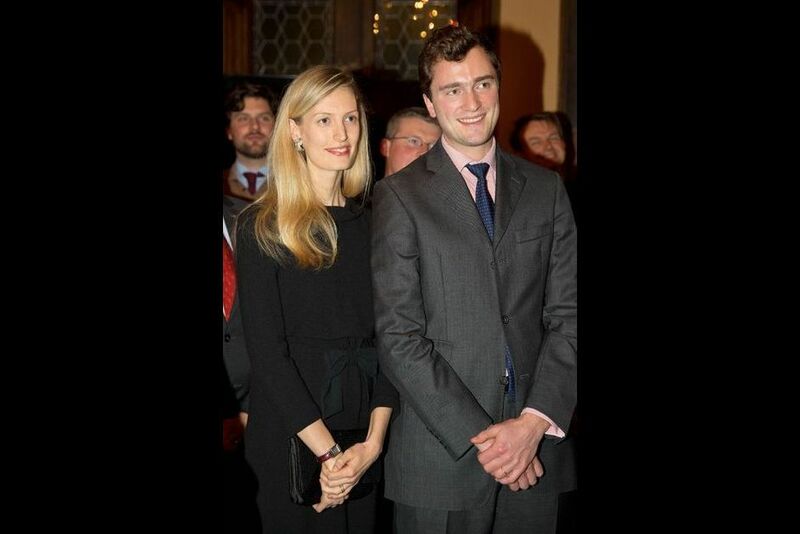 I wonder why Princess Astrid did not bother clarifying the situation with Prince Amedeo's residence in advance. The simplest reason that comes to my mind is that they may have thought that the building is part of the complex of Villa Schonenberg, and thus didn't need an own permission. The article mentions that in the past, when all the children of Princess Astrid lived at Villa Schonenberg, the depandance was used to house the staff working for the Princess, so probably it has always been considered as an integral part of Villa Schonenberg.